When the late Steve Jobs ranted about the things he hated about Flash, everyone, including those who dislike Apple, unanimously agreed with him. Not only is Flash bad for the progress of the web, it’s also a problem for developers who want their apps to perform without hogging the system’s resources. About 5-6 years ago, this enfant terrible of the World Wide Web was enjoying a monopoly its developers had rarely dreamed of. That, however, changed a lot once the much-awaited HTML5 came along. This somewhat new technology will make Flash obsolete and makes the web a much better, and yes, an open place. 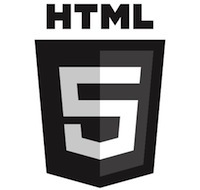 No longer do developers and users have to be at Adobe’s mercy to run a fancy video or a web-based game; HTML5 does almost everything Flash could. And, what better way to showcase its amazing prowess than some great HTML5 games? If you don’t know what Angry Birds is then.. well.. never mind. For those who do, there’s a nice little HTML5 version of the bird-slinging phenomenon that will let you shoot those nasty pigs on almost any modern browser. Primarily designed for Chrome, Angry birds also runs perfectly well on the latest version of Firefox. Though the game is freely available, the number of levels you get is quite limited when compared to the $1 iOS or Android app. Nevertheless, a great way to take breaks from your work. Mario is perhaps the most famous character in video game history. The princess-saving plumber has enjoyed phenomenal success over decades. Bringing the classic experience to your browser comes Infinite Mario. This amazing HTML5 game recreates the classic and makes you a tad nostalgic about your gaming past. Pac-Man Oh, the good old Pac-Man. 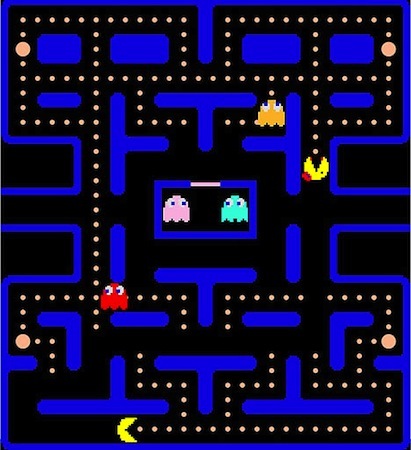 The classic arcade game developed by Namco has been around since the early 80s. The Japan-made phenomenon has been recreated on the Internet many times, mostly using Flash. That, however, changed since the inception of HTML5. 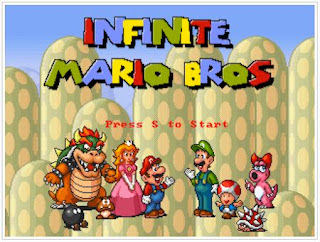 Thanks to some forward-thinking developers, we have the pleasure of playing the classic right from our browsers. The game is so popular that even Google couldn't resist putting it on its homepage once. If you owned one of those bulky Nokia phones, you must surely have heard of Snake. 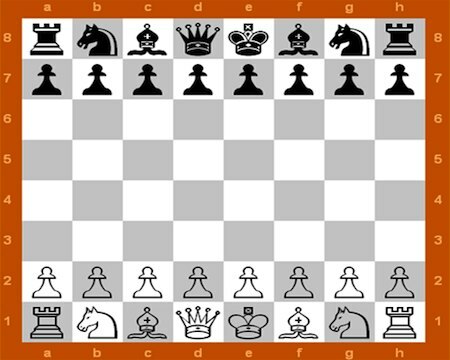 The popular puzzle game has been around for many years and still enjoys a lot of popularity among old-school gaming fans. Bringing the experience to your browser comes Slither, a Snake-like game developed in HTML5. 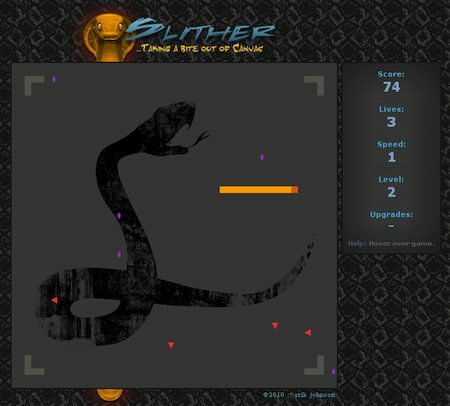 The free game lets you play Snake using just your arrow keys. Oh, and before you start, make sure that you don’t bump into your own tail. 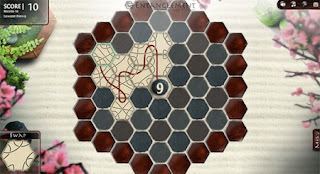 Entanglement is a puzzle game by Gopherwood Studios. The web-based game is about making the longest path possible by properly rotating hexagonal tiles where their paths are etched. The paths you create must get entangled as much as possible so as to avoid running them into surrounding walls. If you run into a wall, it's game over. 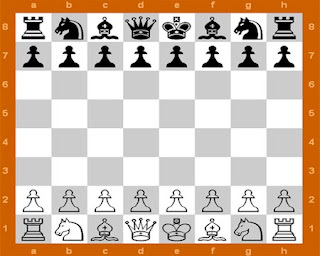 You can either play Solitaire, that is in single player mode or you can play against 5 or less players on the same computer with hot-seat variation. The graphics and music combine to give the game a calm and Zen-like feel to the game. Even if you play this game for 2 hours or so, you'll feel relaxed at the end of it. It is a thoroughly engaging game that's meant for everyone. Though we've already covered it in our Chrome games roundup, Entanglement works across every modern browser. Like Scrabble? Then you’ll love Word Squared. 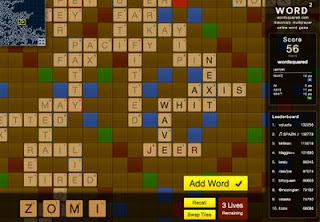 Basically, it’s a fun, Scrabble-like word game that you can play with a huge number of people. 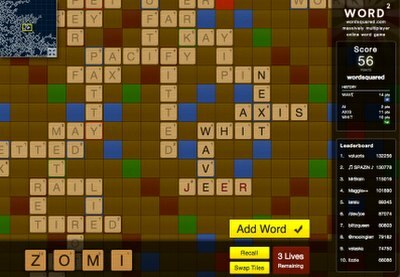 In other words, it’s a one of its kind massively multiplayer word game that you can play anywhere provided you have an HTML5-capable browser. Cut The Rope is one of the most popular puzzle games for Android and iOS. Published by Zeptolab, this physics-based game has even won Apple Design Award on the iOS platform. 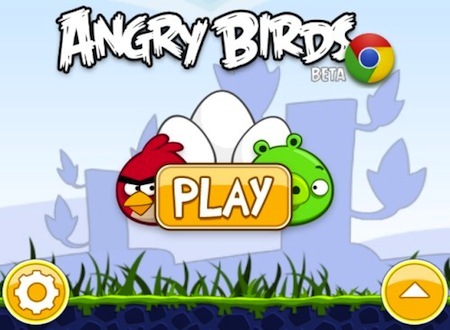 Recently, Microsoft teamed up with the developers to release an IE9-compatible version of the game. Though meant for IE, this fun little puzzle game can be played on almost any HTML5-capable browser.